When the Bordelon family works together there is nothing they can't accomplish, but that doesn't mean the battles are easy or that the dangers aren't real. 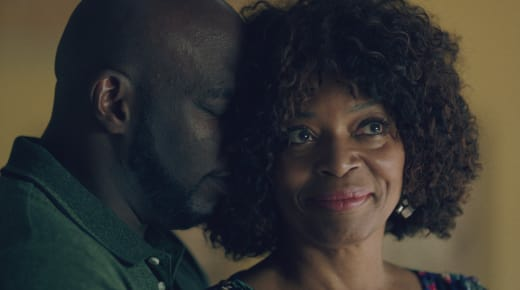 As Queen Sugar Season 3 Episode 13 showed, even when you win, sometimes the fight still isn't over. I was proud of Micah in many ways. First, he took the initiative and scheduled the rally. He received help and advice from his mother and Nova but managed to take the lead, even when it would have been easier and more comfortable to let one of them do so. And then he shared his story about being abused by Officer Orson. That's been coming for a long time. Keeping quiet and staying in the shadows may have felt safer but Micah needed to come forward to regain his sense of power, control, and self-worth. As Micah told the crowd, they are the people they've been waiting for, and Micah's voice was the one he most needed to hear. Best of all, that voice resonated beyond his personal story. You see I’m one of the lucky ones. I survived. I’m here. I got a mom and a dad that can help me. But what if I didn’t have that? What happens to me then? If they build this prison St. Jo becomes another example of what’s wrong with America instead of what’s right. Charley stood to the side and allowed Micah to take the lead, and then praised his efforts when he did. As she pointed out, if speaking the truth was easy, then everyone would do it. Nova decided to speak her truth, and everyone else's from the sound of it, in her book. Is she playing with fire here? Probably. Will she get burned by it? Quite possibly. Did her family realize during their interviews that Nova would use intimate details from their private lives in her story? We can't be sure, but there's little doubt there will be some backlash. Now I'm curious to find out who will stand by Nova and support her efforts and who will be upset about her airing out the family's perceived dirty laundry. I don't expect Charley to be overly concerned about the book because so much of her life has been in the public spotlight already. Plus, Charley's as happy as we've ever seen her. Romero brings out a light-heartedness in her. He revels in the inner joy he sees shining through her. Granted that she and Romero are just getting started, but Charley doesn't have to continually justify herself with him the way she did with Remy, and she doesn't have to always be in control the way she was with Davis. She can just be herself, barefoot and dancing, and it looks good on her. Elsewhere, Charley was making yet another deal with the devil, but no one can say that Charley's deals don't pay off. When she sold Sam her mill, she got 1% of Landry Enterprises, a seat at the table, and stable mill rates for all the farmers for five years. This time she made a deal with Frances that unseated Sam, got her back the Queen Sugar Mill, gave the farmers back their homes and even bought Prosper the farm he'd never owned. 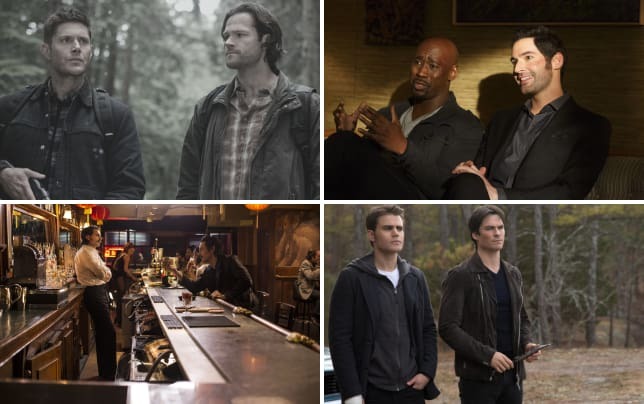 Sam's warning was undoubtedly an echo of what's to come next season. If Frances stabs her brother in the back, she'll likely do that to anyone, including Charley if it suits her purposes, but as this Queen Sugar quote shows, Charley is ready for that. I have been a black woman for a hell of a long time, so, the devil I know, the devil I don’t, it doesn’t matter. I’ll conquer them all. That doesn't mean there won't be fallout. When those Sheriff's officers showed up at Ralph Angel's to threaten and intimidate him, I wondered what prompted it. 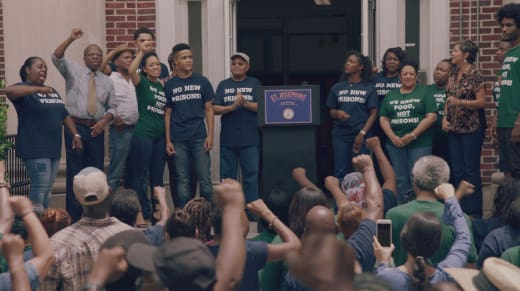 I continually worry about that convenience store robbery from Queen Sugar Season 1 Episode 1 coming back to bite Ralph Angel just when he's got his life back together. But the officers may be angry about the stir that Micah made about the prison and the accusations against Officer Orson. Being on probation, they may see Ralph Angel as the weak link in the Bordelon family and therefore the easiest member on which to take their revenge. I doubt they'll stop coming for him and that is genuinely frightening, especially since things are going so well for Ralph Angel right now. It was wonderful to see he and Darla getting along and concentrating on being respectful parents. Darla was obviously hurt by the thought of Ralph Angel dating someone else, but she was an adult about it, realizing that Ralph Angel being happy was what was best for Blue. It was also good to hear Ralph Angel say he was proud of how Darla has managed her addiction and recovery. 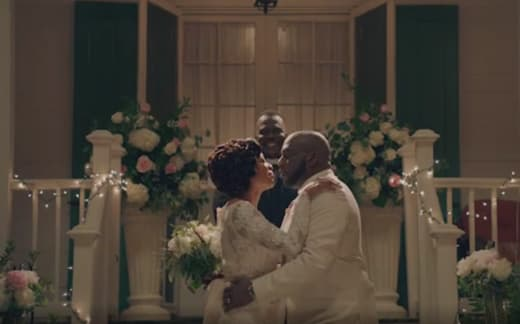 These two have come a long way in a short time, and it wouldn't surprise me if they reconciled further during Queen Sugar Season 4. Of course, the highlight of the installment was Violet and Hollywood's wedding. Talk about coming full circle; Violet now owns the High Yellow where she once desperately sought out a job as a waitress. The deed only being in her name was the perfect wedding present. Now Violet will have her own kitchen, staff, and be surrounded by her community of friends and neighbors. I can't imagine anything making her happier. Vi and Hollywood's backyard wedding was perfect. Violet was beautiful in her gown and Hollywood was stunning in his white tux. And their vows were perfect. Here is where I want to be. You are good, kind, safe and so perfectly flawed that even your jagged parts fit mine just right. On your worst day your spirit flies so high that it make everything round you better. So I commit to you, to us, and I have learned the difference between a love that liberates and a love that feels like it’s always been free. I choose freedom. I choose love. I choose you. I found what I had been looking for since the day that I was born. I found the woman my soul was meant to love. Vi, I want to be your soft place that lifts your hard world. I want to cheer you on every day and I want to let you know how beautiful you are every night. And I love you. 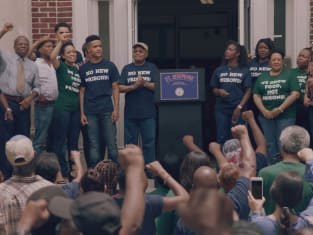 Queen Sugar Season 3 ended on a high note. Violet and Hollywood are married. Vi's business is booming. The prison project is scuttled, and Sam Landry is on the ropes. Charley has a new romance and her mill back, while Micah and Nova have found their voices. But with Frances Boudreaux now in control and local law enforcement looking for revenge, there are still plenty of stories to tell. 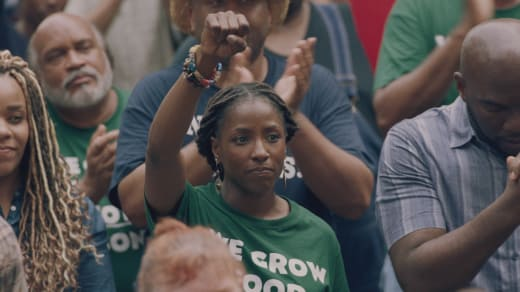 Tell me TV Fanatics, what do you hope to see next season on Queen Sugar? Are you already missing the Bordelons? Then watch Queen Sugar online here at TV Fanatic.